Don’t you love those ancestors who left a nice paper trail for you to follow? With time and study, you come to know and understand them, forging a bond of kinship across the ages. Then there are those who generated precious few records, leaving only crumbs for their descendants to trace. When questions outnumber the answers, it’s harder to create that bond. My husband’s great-great-grandmother, Augusta Bishop, was one of the latter. So far I’ve located just four records on which her name appears: her marriage certificate, the 1860 census, her death record, and this tombstone in Freedom West Cemetery in Freedom, Ohio. Now worn and nearly indecipherable, the stone originally read, “AUGUSTA, Wife of Albert Bishop, Died Dec. 25, 1878, Aged 38 years.” The marker is unadorned, the message simple and straightforward. But here’s the first tug at my heartstrings: she died on Christmas Day. At 38 years old. Augusta married Albert F. Bishop on February 23, 1859, in Portage County, Ohio. Her maiden name on the certificate appears as Augusta Dyke. Her death record says she was born in Shalersville in Portage County. 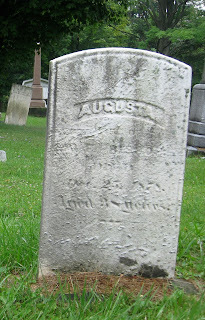 I haven’t been able to identify her parents or find a Dyke family with a daughter Augusta in the 1850 census, so her origins are still a mystery. Could she possibly be the 10-year-old Augusta Dyler or Dyke living in the household of Nathan Severance in Shalersville? If so, why? Was she orphaned? Chalk one up for the questions. Finding herself a widow at age 24, with a five-year-old son, must have been difficult for Augusta. It appears she was unable to keep her son, for by 1870 ten-year-old Theodore Bishop was living as a servant in the household of Watson and Eunice Allen in Hiram. My efforts to locate Augusta in 1870 have proven fruitless so far. A search of the guardians’ dockets in Portage County does not show any entry for Theodore, nor is there any mention of the Allens. Was Theodore apprenticed to Watson Allen? If so, where was Augusta? More questions. Augusta died of consumption—the same illness that claimed her husband—that Christmas in 1878. At the time of her death, she was living in Hiram and working as a housekeeper. Her only living relatives were her son, Theodore, now 18, and her mother-in-law, Sarah Ann Bishop. One of them must have arranged for her to be buried beside Albert in the Bishop family plot in Freedom West Cemetery. As I write this, I realize Augusta’s life reads largely like a tragedy. Possibly living apart from her parents by 10 years old, widowed and a single mother by 24, separated from her young son, and dead at 38—that’s not exactly a life of ease and contentment. But through her has come a strong line of Bishop descendants. I find I want to know more, to dig deeper and find the answers to my questions, if I can. In a way, the unknowns of Augusta’s life are creating their own bonds, pulling me toward discovering her story. Let’s say you’ve found a census record that lists a husband and wife with their unmarried sons and daughters. Your direct ancestor is one of those children, but you can’t find all the answers you seek in his or her own records. Or maybe an important record is missing. One of the best ways to find answers in that situation is to do some research on the other children. It’s easy to trace the boys through later census, land, and death records, because male surnames don’t (usually) change. But what about the girls? If a daughter married, and you don’t know her husband’s name, it can be difficult to trace her in later life and death. A natural first step is to look for a marriage record. If you find one, excellent! But if you don’t, try other options. Some death indexes, such as “Ohio Deaths 1909-1953” on FamilySearch.org, index by father’s name (if reported on the death certificate) as well as by name of the deceased. So you may be able to find a daughter’s death certificate by entering her father’s name in the search box. This will give you her married name at the time of her death. Another place to look for daughters’ married names is in the father’s will or estate settlement. But one of my favorite ways to uncover married names is through obituaries. Newspaper obituaries are such a potentially rich source of information that it’s worth the effort to track them down. Granted, I’ve found my share of single-line death notices that reveal no new information. But when you find a good one, it can be a gold mine. Search for obituaries of the woman’s father, mother, and known siblings. If more than one paper was published in the locality at that particular time, it’s usually worthwhile to check them all. 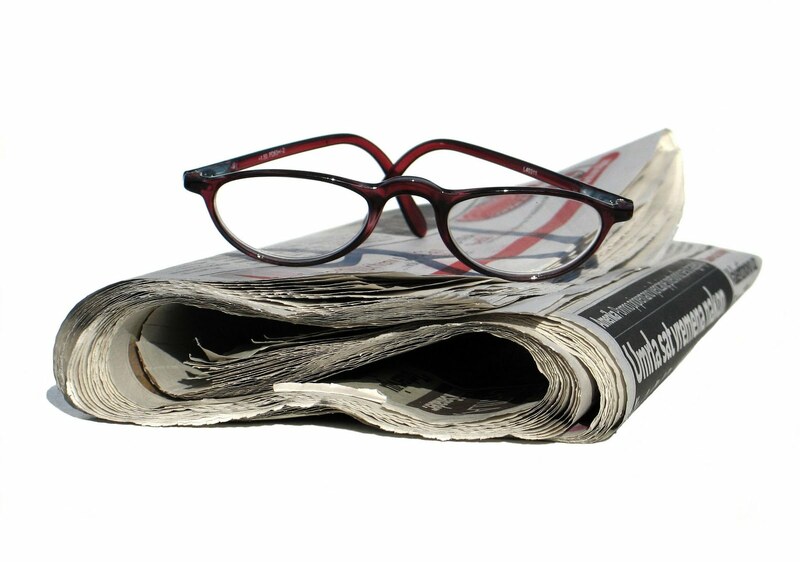 Don’t discount the small weekly papers that circulated news in rural areas. EBERHARD—John L, age 78, at his home in Galena, Tuesday. Survived by his wife, Mary; 11 daughters, Mrs. Eva Wilt, Mrs. Nora Ballenger, Mrs. Blanch Hendrix of Columbus, Mrs. Mable Dixon, Mrs. Irma Hollis of Sunbury, Mrs. Emma Hollis and Mrs. Carrie Hollis of Westerville, Mrs. Anna Fichtelman of Westerville, Mrs. Bertha Milton of Newark, Ohio, Mrs. Georgia Garee of Galena, Mrs. Mildred Gilliland of Hawaii; 4 sons, Roy of Columbus, Harold of Westerville, Enoch of Johnstown and Robert of Johnstown; 31 grandchildren and 10 great-grandchildren. 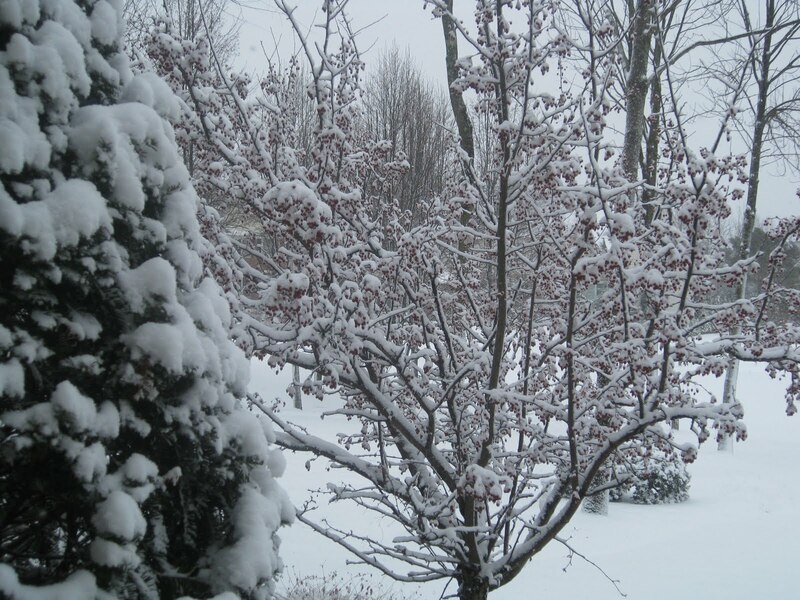 Funeral services will be held Saturday at 2 p.m. from the residence at Galena, Ohio. Burial Otterbein Cemetery, Westerville, Ohio, under the direction of the DeVore Funeral Home, Delaware and Galena. That’s a lot of names! But even if the obituary you find gives only one, it’s still a bridge to other records. Better yet, obituaries often state relationships directly (son, daughter, brother, sister, etc. ), and can be used to tie families together in the absence of vital records. So the next time you’re stumped for a woman’s married name, try hunting for the obituary of one of her parents or siblings. You never know what you might find there. This plain stone, wiped almost clean by the hands of time, marks the grave of Walter H. Bishop in Freedom West Cemetery in Freedom, Ohio. Walking through the cemetery today, nothing would compel you to stop and linger at Walter’s grave. Only his first name is readable. But even the plainest stone has a story to tell. Walter’s obituary in the Ohio Star on September 3, 1845 gives a little more of his story. It says that Walter H. Bishop died 24 ultima (the previous month) in Freedom at age 13 months, 14 days, the son of Fitch and Sarah A. Bishop.1 This identifies his parents, gives his date of death, and tells us he was just an infant when he died. But like his stone, the obituary is frustratingly cryptic. I want more details! 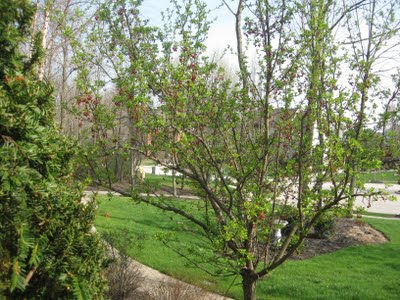 My research on the Bishop family shows that Walter H. was the third child born to Fitch Bishop and his wife Sarah Ann. 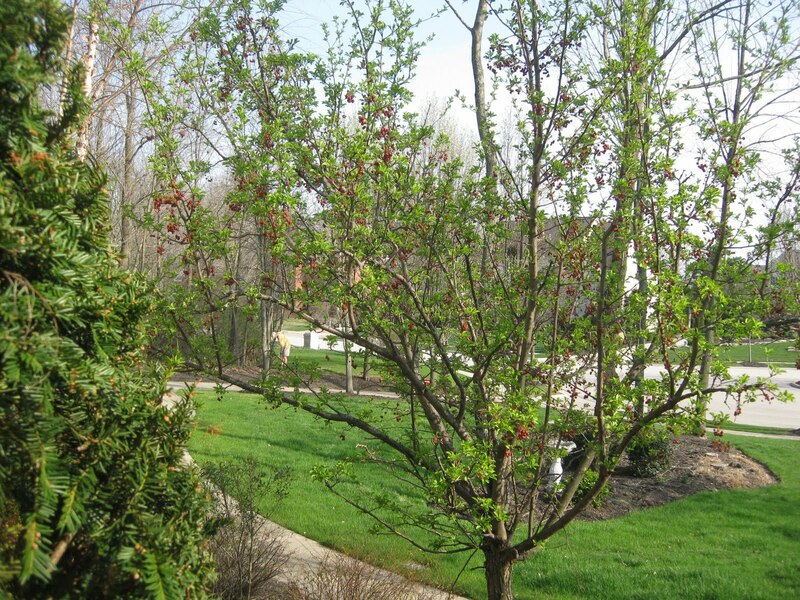 Fitch was a farmer with 21 acres of good, fertile land in growing Portage County, Ohio, part of the Western Reserve. He and Sarah already had two sons, five-year-old Albert and three-year-old George, when Walter was born on July 10, 1844. Nothing tells me if Walter was a healthy baby or if he was sickly from the start. Did he like watching his brothers play outside in the yard? Did he crawl around in the small farmhouse during the long Northeast Ohio winter? Did he suddenly become ill, or was there some kind of accident? All I know is that he lived barely past his first birthday. On August 24, 1845, he was gone. 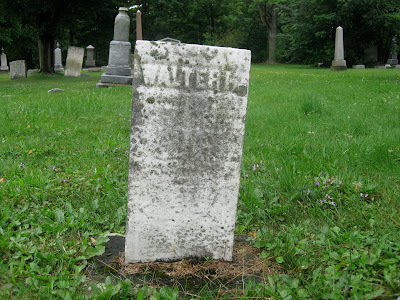 Walter’s is the oldest burial in the Bishop family plot (no. 91) at Freedom West Cemetery. It seems likely that Fitch, needing a place to bury his little son, bought the plot in 1845. 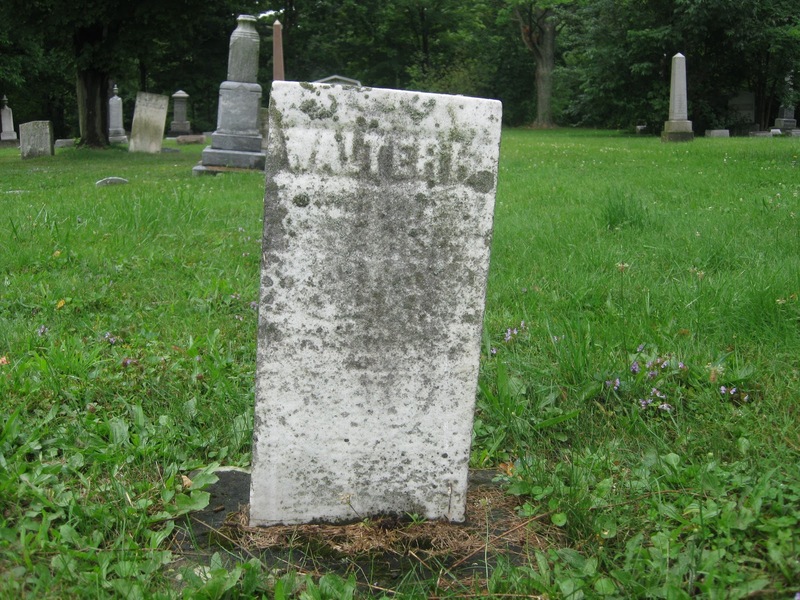 The tombstone he installed originally read, “Walter H., son of F. & S. Bishop, died Aug. 24, 1845, age 13 mos., 14 days.”2 For almost two decades, Walter’s was the only marker in the Bishop family plot. The next burial there was another toddler, Lettie A. Bishop, the 14-month-old daughter of George and his wife Mary, who died in April 1864. Lettie would have been Walter’s niece. Fitch and Sarah went on to have two more children. A daughter, Ann Jennett, was born in December 1846, and a son, Walter F., in August 1851. I can’t help but think that this second Walter was named in memory of his lost brother. A faded tombstone and a brief obituary are all that remain to tell us about Walter Bishop’s short life. But he was a real little boy, and no doubt very much loved. I guess that’s why it seems so important to try to piece together even a little more of the story behind the stone. Maybe I'm just sentimental, but somehow it feels good to share and preserve it. 1. Michael Barren Clegg, Portage County, Ohio Newspaper Obituary Abstracts, 1825-1870 (Ohio Newspaper Abstracts Series, Vol. 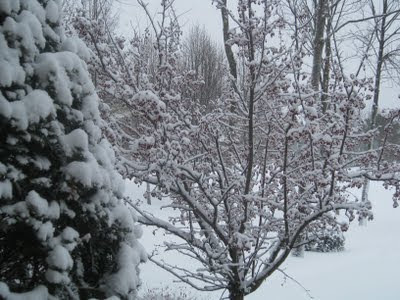 2: Ft. Wayne, Indiana, 1982): 16. 2. 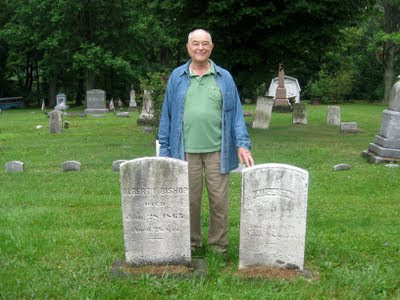 Portage County Genealogical Society, compiler, Portage County, Ohio Cemeteries, Volume IV: Freedom Township and Windham Township, 1812-1992 (the Society: Ravenna, Ohio, 1993): 90-91.